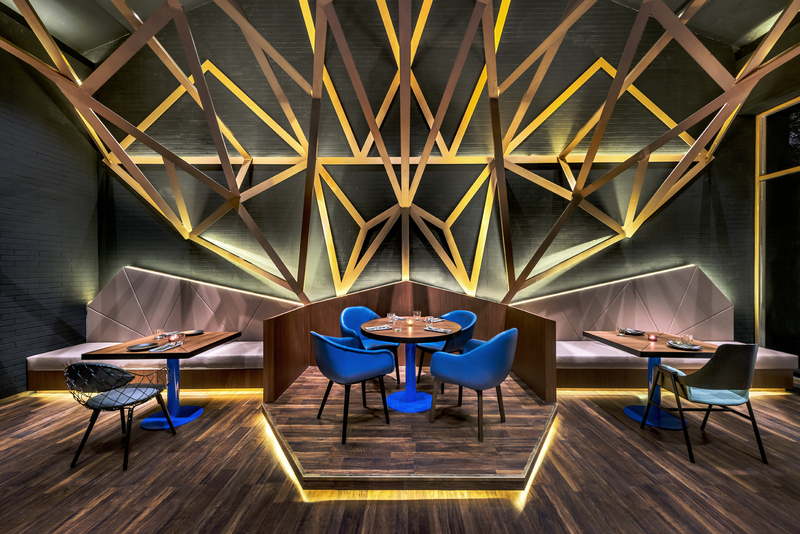 Design studio Ministry of Design and VUE Hotels create a fresh take on hotel design in Beijing, China. The VUE Hotel brand is looking to present a fresh take on hospitality design and experiences in China. For each new design, they look to draw from the culture and heritage of the local neighbourhood, and give it a contemporary and whimsical twist. Unapologetically modern in its approach, the brand creates comfortable and inviting social spaces paired with intriguing art and innovative cuisine. VUE’s designs are based on 4 core pillars: being encouraging socialising; transcending culture; being delightful & whimsical; being relaxed & inviting, and these pillars are reflected in their approach. Currently planning expansion in key cities across China, the new Vue Hotel Hou Hai Beijing in the Hutong district is the first of these design-driven five-star hotels from the Orange Hotels Group. There are 80 guestrooms and suites, most with balconies or terraces with lake or park views, all created with VUE’s signature sleek and uncluttered style. Eccentric touches were added, such as pink and yellow chairs and ornate pagoda-style bathroom mirrors. Although designed in the Chinese vernacular, the hotel compound has a diverse collection of ornamentations from highly decorative roof eaves, characterful gargoyles, sculptured balconies and latticed window frames, to pared-back jack roofs and plain brick work wall finishes. The architects linked these disparate elements through colour and landscaped gardens. All of the buildings were painted a dark charcoal base, with key architectural details highlighted in a contemporary gold patina. This juxtaposes the historical and the contemporary features. The VUE Hotel brand is pioneered by Wuhai, CEO of Vue Hotels, and created by internationally acclaimed design studio Ministry of Design, who are responsible for the holistic strategy, branding and all aspects of design & art creation. VUE is also a Member of Design Hotels™ and is its first member in Beijing, China. For more information about the design of the Vue Hotel email Joy Chan from Ministry of Design via the contact details below.